So yesterday I mentioned that I now have a fireplace mantel (YAY! ), but am totally out of mantel-decorating practice. 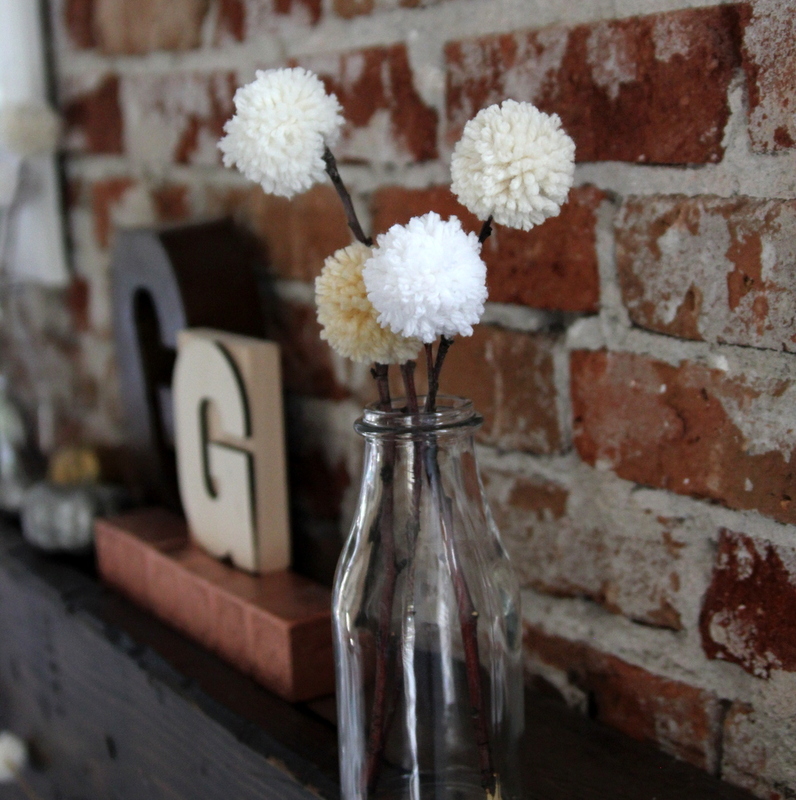 For now, our mantel has a row of vases with fluffy pom pom topped branches- it’s really simple, but I love the texture of the pom poms, especially in contrast with the exposed brick behind them. 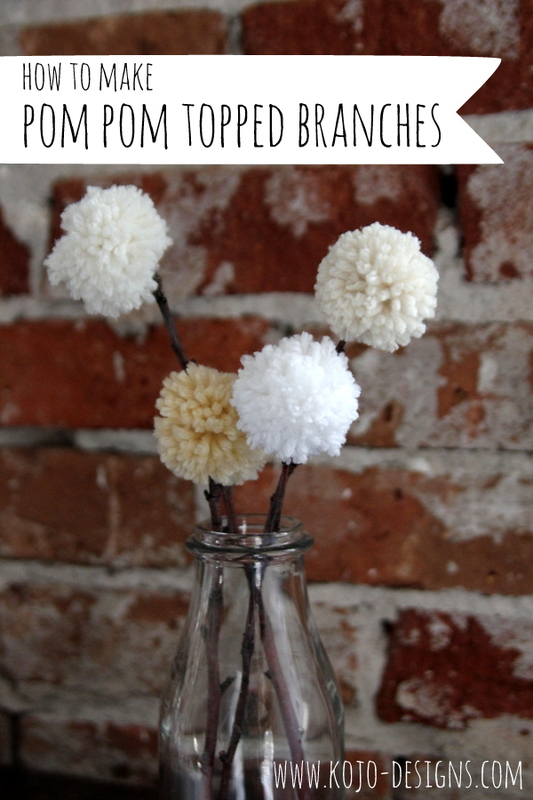 Since I can think of all sorts of uses for these gems (home decor, party or shower decor, even holiday decor! ), I thought I’d put together a little how to. 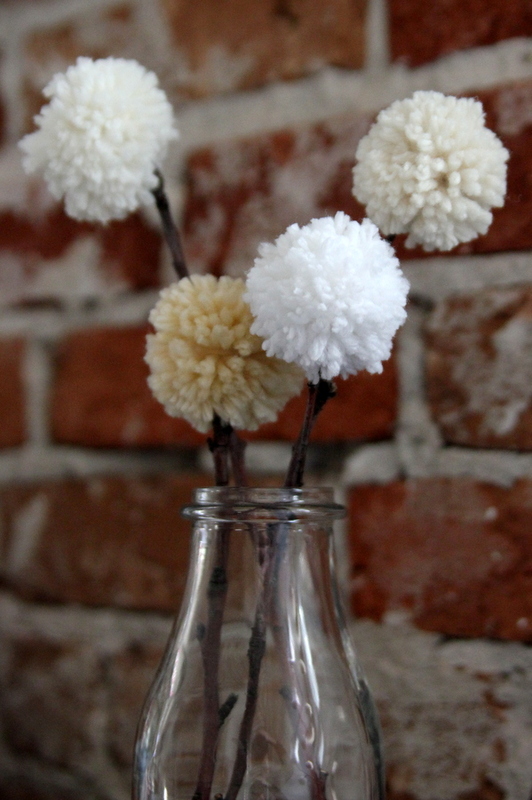 First, make a pile of white and cream pom poms (I love pom pom makers, but you can make them with a fork too). 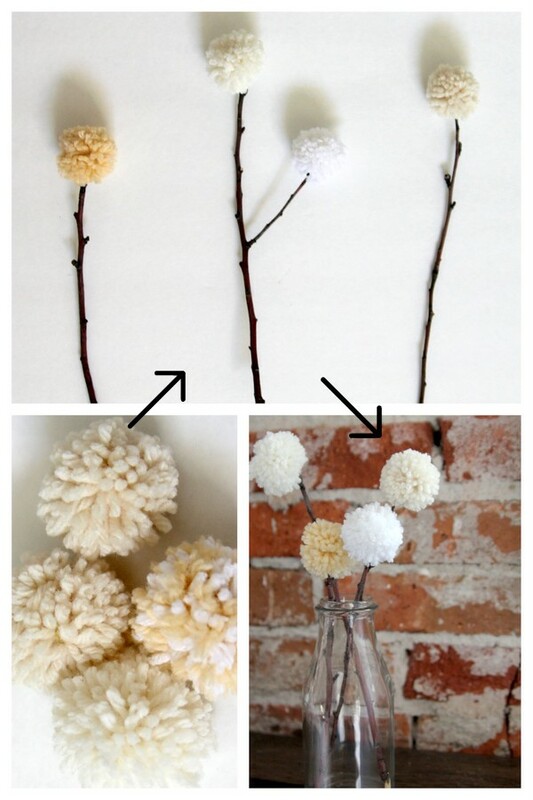 Then thread the top of a stick through the center of the pom pom (just feel around until you find the gap in the middle). Cluster in a jar and you’re done. 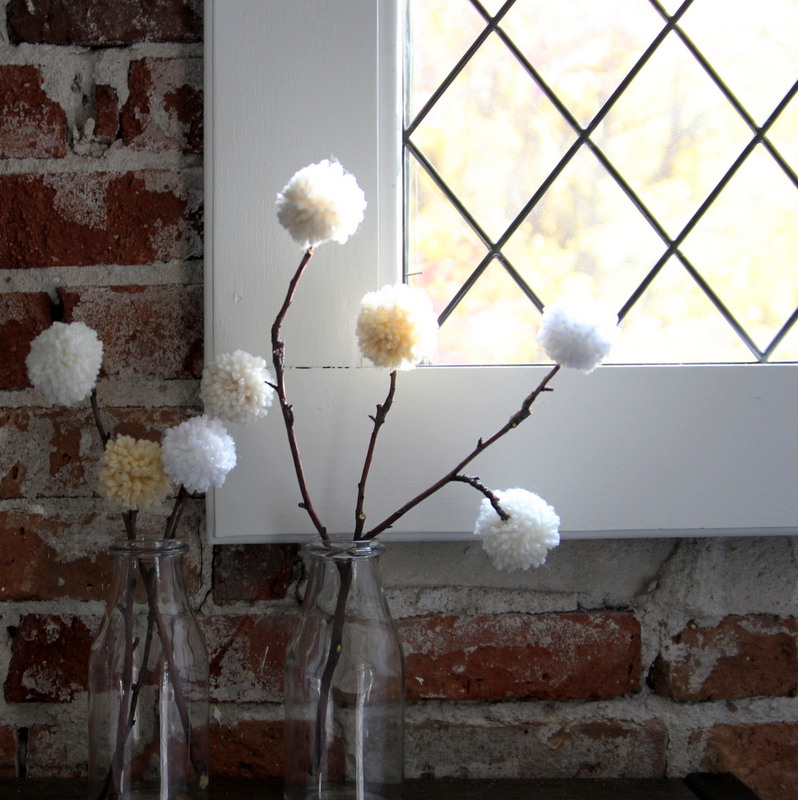 Little bouquets of winter-y fluff- perfect for a (fairly sparse) mantel. Now I just need some Spring-ish decor ideas- thoughts? I LOVE this!!! Looks like you’re having a great time with Jordan! The picture of the girls you posted this morning was precious!